Everyone's got a story, right? Richard Averitte has met a lot of interesting people through the social network Twitter. But can you really know someone's story in a 140 characters or less? 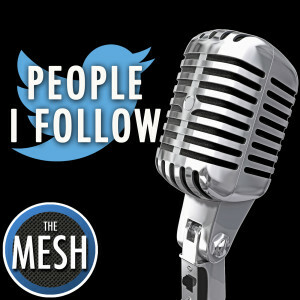 Each week on the People I Follow podcast, Richard sits down with one of the fascinating people he follows on Twitter. He'll dig in to their background, find what drives them and most importantly what beverage they prefer with cotton candy. Richard Averitte is the owner-operator of Good Vibrations Consulting (www.goodvibrationsconsulting.com), a marketing firm that helps a wide variety of business and startups achieve their marketing goals through public relations, social media content and event planning. Richard has nearly twenty years of experience engaging the consumer with creative ideas that provide a proven return on investment. A seasoned veteran, Richard has orchestrated a number of successful marketing campaigns for business small and large. In addition to his expertise in marketing and business development, Richard has a spirit of volunteerism assisting many non-profits in the Triangle. Richard lives in Raleigh with his wife Lisa and two children, Lucy and Felix.